The son of a Polish immigrant who died in the Civil War as a captain in the Union Army, Bielski also joined the Union Army and learned to play baseball during lulls between battles A true pioneer, in 1872 Bielaski became the first Polish American to play major league baseball when he joined the Washington Nationals of the National Association. In 1873 he played outfield for the Washington Blue Legs, leading the team in bases on balls and had a .283 batting average. He played with Baltimore Canaries in 1874 and then joined the Chicago White Stockings winning the first-ever National League pennant in 1876. Baseball records show that his professional career ended after the 1876 season with a .243 lifetime batting average. Bielaski died in Washington D.C. in 1911 and is buried in Arlington National Cemetery. Many people know of the great Polish-American baseball players who rose to national prominence in the first half of the 20th century, like Baseball Hall-of-Famers Stan Musial, Stan Coveleski and Al (Szymanski) Simmons. However, the Polish heritage in the sport of baseball goes back even further. In fact, the first recorded instance of a bat-and-ball game being played in American took place in the early 17th century, when Polish workers brought in to help save the Jamestown colony played a popular Polish folk game known as pilka palantowa. Most people also don’t know that long before Musial and Coveleski became household names, the son of a Polish immigrant played major league baseball. In 1872 Oscar Bielaski became the first Polish American to play major league baseball when he joined the Washington Nationals of the National Association. He later was a member of the Chicago White Stockings, who won the first-ever National League pennant. Prior to the 1870s Polish immigration to America was relatively limited and sporadic, mostly comprised of Poles who were forced to flee Europe after fighting against the powers who had partitioned their homeland. One of these was Alexander Bielaski, Oscar’s father. When the American Civil War broke out, Alexander, at the age of 50, left his wife and seven children to serve as a captain in the Union Army. He died in battle in Missouri in 1861. Young Oscar, who was born in Washington in 1846, then volunteered to serve as a drummer for the Union Army. As the story goes, it was during lulls between battles that he learned how to play baseball. After the war Oscar returned to his native Washington, where he worked as a government clerk and continued to play baseball. Baseball grew tremendously in popularity following the war, though it was far different from the sport we know today. At the time, most baseball players came from the skilled working class, and most were of British heritage. For a while all of the teams were comprised of amateurs, or at least they were supposed to be. However, many players were given jobs by sponsors, and some were secretly paid a salary just for playing. In 1871 the National Association became the first professional baseball league, and the following year Oscar joined the Washington Nationals. He played in the outfield and he led the team in runs. In 1873 he played for the Washington Blue Legs, leading the team in bases on balls and ranking second in hits, with a .283 batting average. The following season he joined the Baltimore Canaries, playing outfield and first base. In 1875 Oscar was recruited to join the Chicago White Stockings. In 1876 the White Stockings became part of the new National League that ushered in a new era in professional baseball. With a powerful roster that included some of the top players in the country, Chicago won the first ever National League pennant with a record of 52-14. 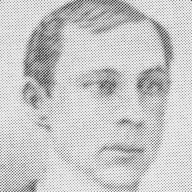 Baseball records show that Bielaski’s professional career ended after the 1876 season. His career batting average was .243. Bielaski died in Washington D.C., in 1911, and is buried in Arlington National Cemetery. It took more than 30 years for other Polish Americans like Jack (Picus) Quinn (1903) and Harry Coveleski (1907) to make their major league debuts, but it all started with Oscar Bielaski in 1872.